Best-selling teen author Cathy Cassidy paid a visit to an Eastleigh school this Thursday to promote two of her new books. 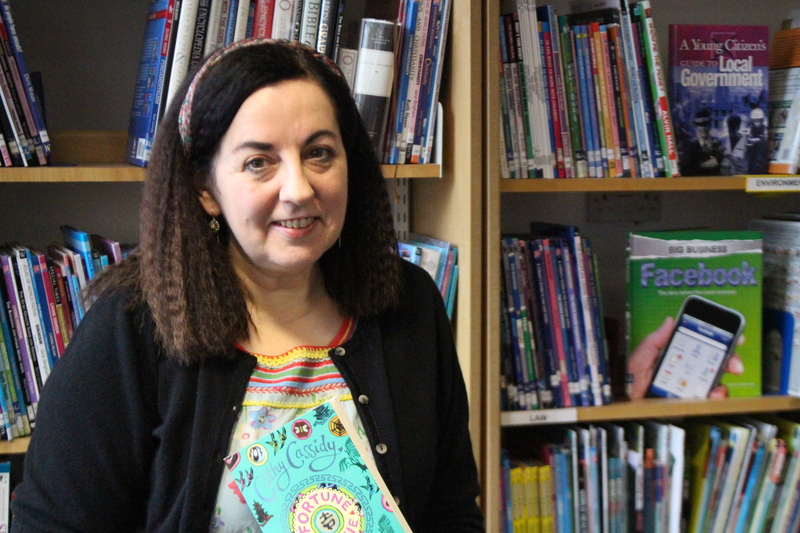 She spoke to a group of pupils at Thornden School about her new books Fortune Cookie and Looking Glass Girl, alongside providing literary advice and inspiration to any budding young writers. “It’s fantastic to actually meet the kids who read my books. It’s only from going into schools that you really see the point of what you’re doing; It’s all about connecting with children”. Cathy is equally passionate about the importance of local libraries; and is supporting the Speak Up for Libraries lobby of parliament on Friday. “When our Government are desperately trying to boost literacy and get children reading, I think they are sitting on the biggest treasure they could possibly have”. Prior to being one of the UK’s top selling children’s authors, Cathy also worked as fiction editor of renowned magazine Jackie, and as the agony aunt for teen publication, Shout. “Considering I’d spent my teens bombarding Jackie magazine with short stories, so getting a job there was very ironic!”. Cathy Cassidy’s new books Fortune Cookie and Looking Glass Girl are published in paperback by Puffin on 4 February 2016.